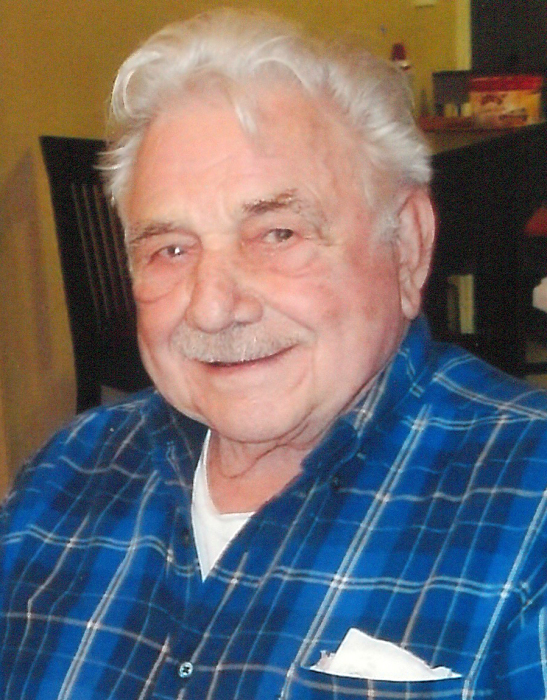 William J. Klobuchar, 91 of West Deer Township, died Wednesday December 5, 2018 at Good Samaritan Hospice House, Wexford with his family by his side. He was born January 12, 1927 in Pittsburgh to the late John and Kristine (Regina) Klobuchar and grew up in Glenshaw. Bill served his country during WWII in the US Navy achieving the rank of Seaman 1st Class and served on the USS Sampson, the USS James E. Keys, the USS Oakland and the USS Clevalier. He was self-employed owning William Klobuchar Masonry Contracting which he owned for over 40 years retiring when he was 70 years old. He is a member of St. Victor R.C. Church, Bairdford and St. Victor Young & Restless group. He enjoyed taking walks in the woods with his family, playing cards, farming, gardening though especially enjoyed spending time with his wife, children, grandchildren and great-grandchildren. Survivors include his wife of 68 years Lois J. (Drozynski) Klobuchar, his children Janice A. (Daniel) Dineff of West Deer, Dorothy J. Klobuchar-Tatrn of West Deer, Jay W. (Cheryl) Klobuchar of Hottleville, Christine M. (Chris) Galbraith of West Deer, Robert J. (Judy) Klobuchar of Pine Township and Joanne (Jeff Brown) Kitchen of Westmoreland City, 10 grandchildren and 6 great-grandchildren. Besides his parents he was preceded in death by his daughter Marion Klobuchar, his brothers Frank and John Klobuchar and his sisters Mary Malic, Anne Fritch, Christina Klobuchar and Therese Klobuchar.